Part of a range of traditional satin chrome finish dual mount light fittings that includes single and twin switched wall lights. 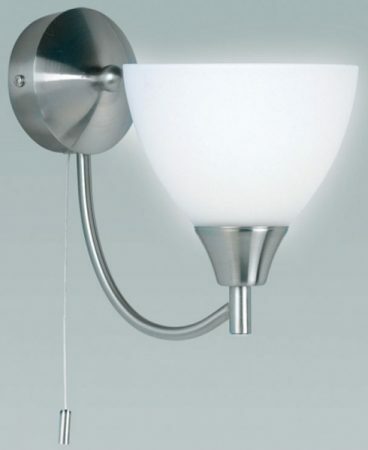 Satin chrome wall bracket with a single curved arm and upward facing matt opal glass shade. The wall mount is fitted with a pull cord on / off switch. A traditional switched wall light that is suitable for many interior styles.